Your satisfaction is our main concern. Training is a key vector for OLI and the creation of the OLITraining concept was the natural consequence of that importance. OLI provides technical training to the professionals who interact with its different products. 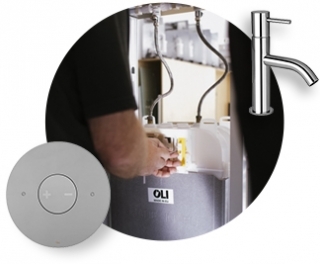 We provide training sessions aimed at groups of installers or designers at the OLI Training Centre with programmes adjusted to each group's needs and expectations. OLI travels around the world to impart knowledge and skills in training courses, technical sessions and theme-based programmes. Portuvera sanitair & ceramics B.V.